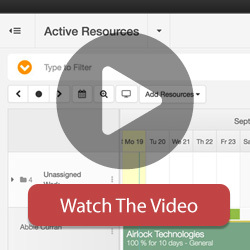 Timesheets on your mobile web app are located in the main menu, at the top left corner. Click the menu (lines icon) and select Timesheets from the options. This will open your Timesheets calendar where you can add your time entry or just get a nice overview of your scheduled, reported time and billables. You can add new time entry by clicking a date in your timesheets calendar and then clicking the plus button located at the top right corner. Then you just fill in your time entry details and submit at the end. Under your timesheets calendar are line items. Those items show your reported time for specific projects as well as how much is billable for that time. The line items change depending on your selected dates accordingly. You can view your time entry in relation to your selected dates under the line items. There you have the option to click the project’s time entry which shows you a detailed overview. To edit the entry, click on the pencil icon at the top right corner, edit the information given or delete the entry by clicking the trash icon at the top right corner. Edited information must be re-submitted to confirm the changes made. All line items can be quickly edited or deleted by making a simple swipe over the selected time entry. You can switch to a week view mode by clicking the 7-day-calendar icon in the footer. It shows you only a weekly calendar for clearer overview. To paginate from one week to another, simply use the arrows located to the left and right side of the calendar. To view your timesheets summary day by day, click the three-line icon located in the footer. Timesheets stats are located in the right footer. This feature shows your timesheets overview for a selected period of time, which you can define by clicking the navigational arrows. There are two visuals on the timesheet stats, one related to the scheduled vs. reported time and the second animating the reported time breakdown.